As some of you have figured out, MG and I like to meet after work on the Pennsylvania Avenue plaza at the White House. We get a chance to talk without all the urban car traffic and check out the parade of bike commuters passing by. 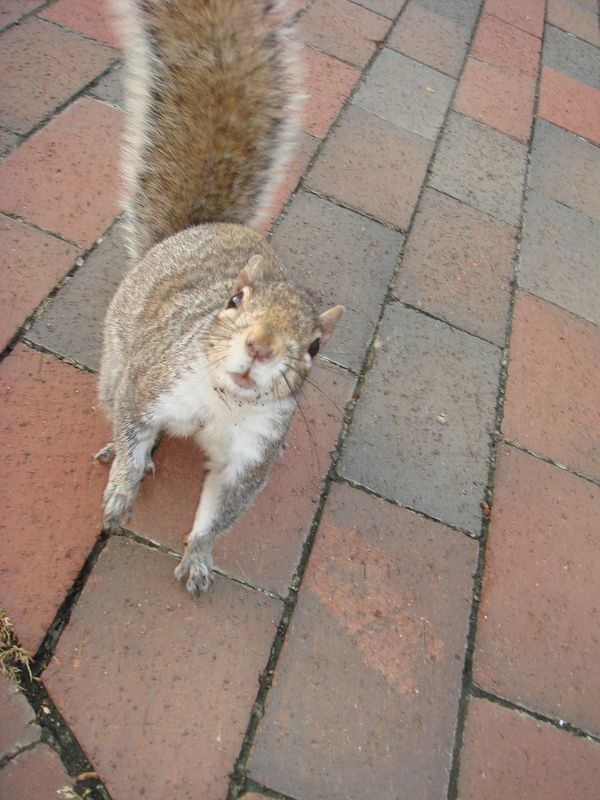 And, we might get a visit from Squirrel Buddy. Remember when he climbed my back wheel? On Tuesday he came over to say hi again. 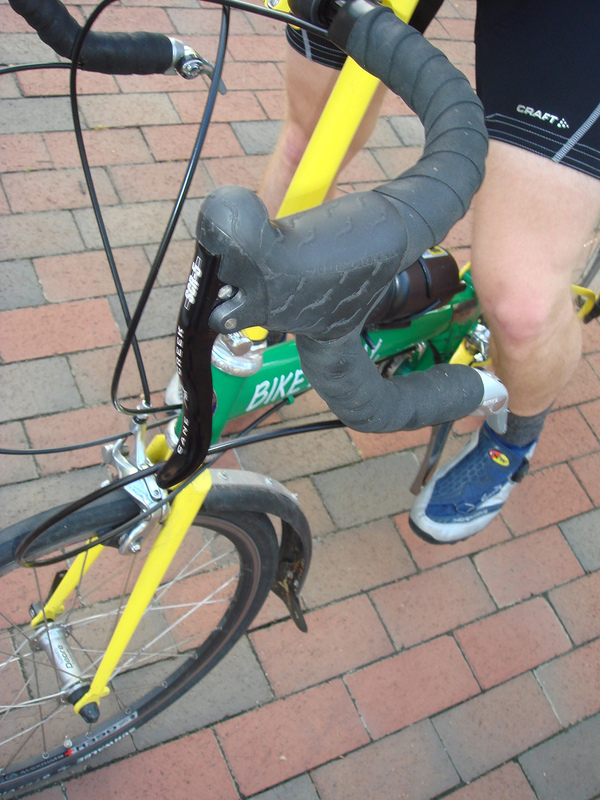 Just then we saw Blake Rubin riding by on his custom color Bike Friday Pocket Rocket. Not being shy, we called out and he graciously stopped to show us his new steed. 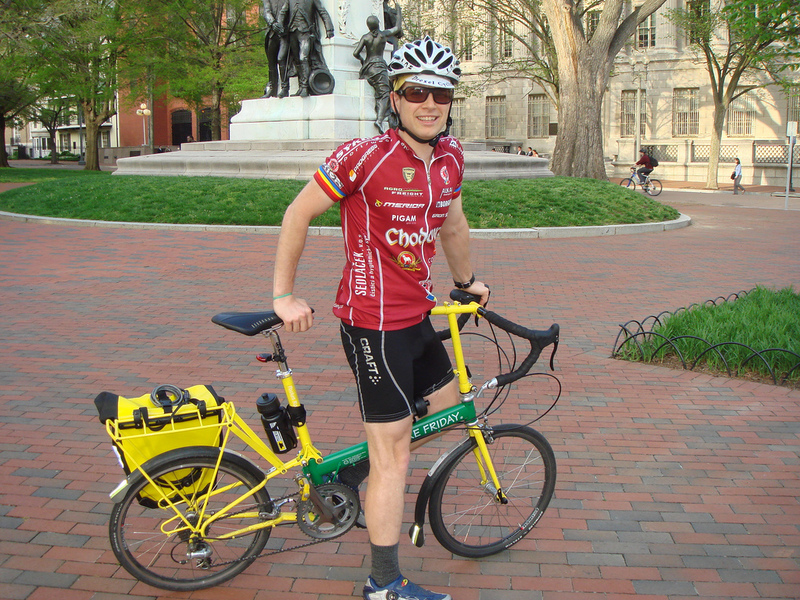 Blake bought it to do a little of everything: commute, countryside rides, and travel to Philly and abroad. The color scheme is wild, in a cool way. The build is pretty standard Bike Friday, in that the Friday folks really like lower-end Shimano when they are not installing Sun Race hubs — shudder. 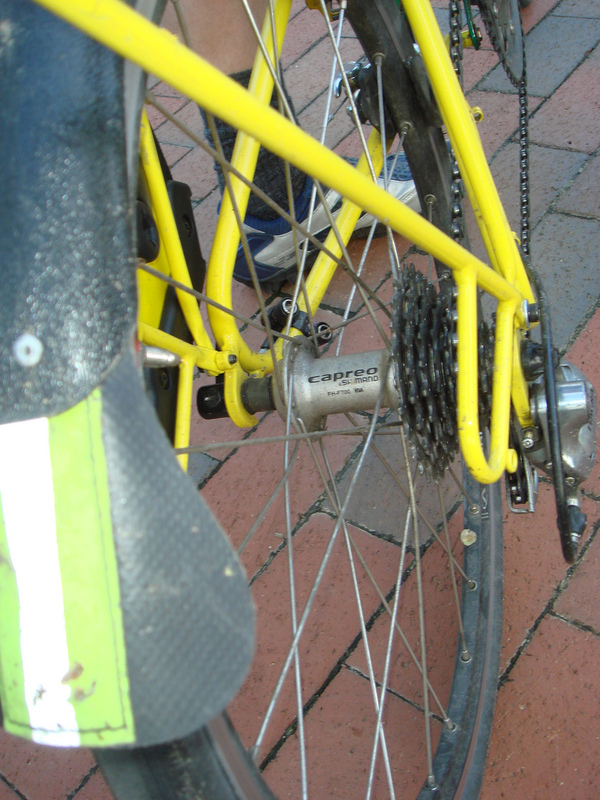 Blake went with the Shimano Capreo 9-tooth cog rear hub, which lets you get away with normal size chainrings instead of the big 58-tooth outer rings MG and I use on our PRs. Blake splurged for a King headset. Nice. Here are some more photos. Hopefully we’ll see Blake out on a brevet one of these days. Nice set-up on that Friday. Looks like it’s ready to go anywhere. 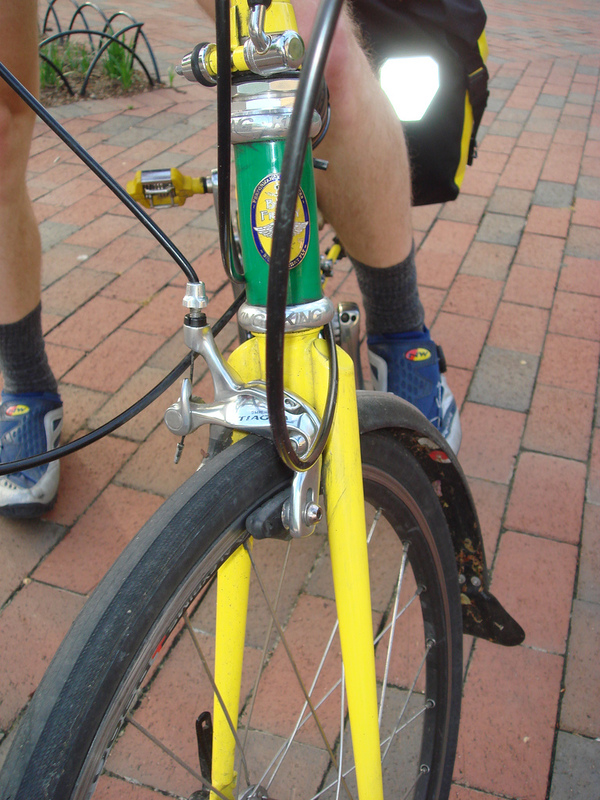 Blake’s mom would complain that he wasn’t wearing his Drexel colors, which match the bike better, for the photos. And where’s the flashy yellow shoes??? blake’s mom is more upset with the socks! what was he thinking!!!!!! The transition from lycra to wool cycling gear has to start somewhere! Is Squirrel Buddh any relation to Bubble Buddy? He is equally misunderstood. And takes as long in the bathroom.